MB McGrady & Co is pleased to announce the relaunch of its Castlewellan Surgery Office on Monday 14th of May. The office which has been established for over 30 years will be relocated to The Lodge Business and Cultural Centre in Castlewellan and will be open every Monday (except Bank Holidays) from 1pm-4pm. The surgery will be in the very capable hands of Jennifer Murphy BSc FCA and Malachy McGrady BSc (Econ) FCA. 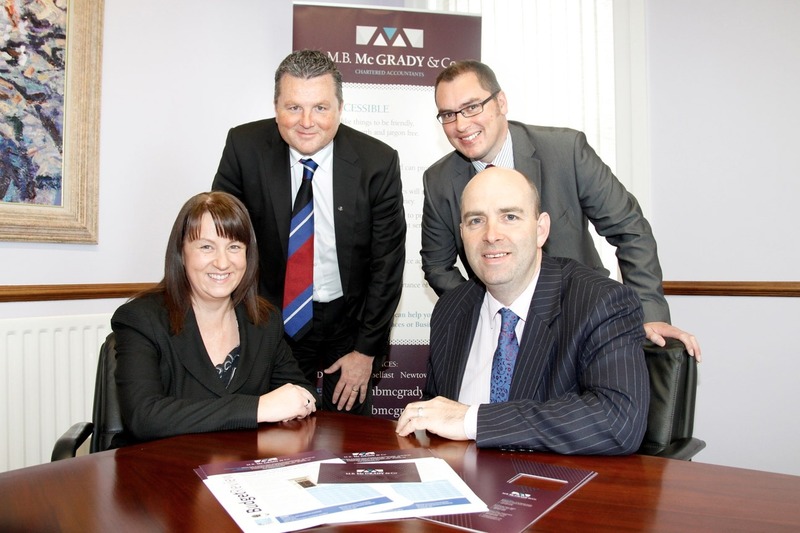 Jennifer is a Fellow of the Institute of Chartered Accountants Ireland who has been with MB McGrady & Co for 10 years. She has a broad range of experience providing accounting, audit and taxation advice for SME’s within a wide range of industry sectors, including farming, construction and charities. Jennifer also specialises in providing advice and training for new and existing computerised accounting packages such as Sage 50. Mal is a Fellow of the Institute of Chartered Accountants in Ireland and Senior Partner in the firm. He has been providing accountancy, taxation and general commercial advice to a wide range of locally owned and managed businesses for over 20 years. Our highly qualified staff can provide you with a bespoke service in particular specialist tax consultancy which can help minimize your tax bills and save you money. For more details please contact our Downpatrick Office 028 44 616321 or email info@mbmcgrady.co.uk. Also please find below details of a free seminar we are holding in The Burrendale Hotel Newcastle on Thursday 24th May at 7pm. Everyone welcome.